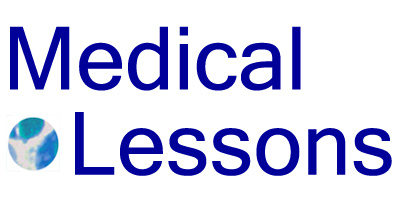 Medical Lessons – Mammography Update! This week I’ve come across a few articles and varied blog posts on screening mammography. The impetus for rehashing the topic is a new set of guidelines issued by the American College of Obstetricians and Gynecologists. That group of women’s health providers now advises that most women get annual mammograms starting at age 40. Why every year? I have no idea. To the best of my knowledge, there are no data to support that annual mammograms are cost-effective or life-saving for women in any age bracket at normal risk for BC. Pertinent also, is a recent paper* in the Annals of Internal Medicine supporting a personalized approach to BC screening and mammography for women over the age of 40, and an editorial* to go with it. “Talk with your patient,” is the point for doctors: Consider your patient’s breast density, family health history and personal preferences. Great idea! We need an Annals paper to tell us this? 1. Start with a baseline, digital mammogram at age 40. The image should be digital first, because this kind of technology is better for visualizing dense breast tissue which is more common in pre-menopausal, younger women and second, because digital images can more easily be shared with another doctor, for a second or more expert opinion if necessary. 3. Supplement mammography every other year with monthly self-examination of the breast. This inexpensive method of feeling one’s own breasts, regularly and methodically, has not been shown to save lives in randomized clinical trials. But I am convinced that if it’s done right – when a gynecologist, PCP, internist or other caregiver takes the time to teach her patients how to do the breast self-exam properly – as I used to instruct my patients in the clinic, women can help themselves to catch breast tumors early. 4. Mammograms should be done, exclusively, by appropriately-trained radiologists who spend the bulk of their time reading mammograms, performing sonograms of the breast and taking occasional biopsies, as appropriate. (Sorry, general radiologists, but that’s how it is. Would you want your mother’s breast image examined by a radiologist who also reads hip films and MRIs of the brain?) The rate of false positives is lower when mammograms are performed by specialized “breast” radiologists. 5. Take advantage of the fact that mammography centers have been regulated for nearly two decades by the FDA. Be sure that the place where you get your mammogram is MQSA-accredited.